Puzzle Quest 2 is rated 4.2 out of 5 by 26. 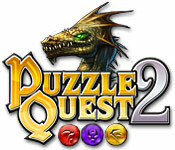 Rated 5 out of 5 by sgtfox from Puzzle Quest 2 This is a great game. The mechanic's work great and the story line is wonderful. Rated 5 out of 5 by suzbs from good game but... Great game really. but the Big Fish version does not seem to let you "craft new items" when you are at a shop. Otherwise game play is good, but that mini-game appears to be missing on this version. If anyone knows about this and I am just missing it somehow let me know. Rated 5 out of 5 by ivorybow from The best game I ever got from Big Fish I have been steadily playing Puzzle Quest 2 now for over a year. I was not a fan of Match 3, but decided to give this a try and it has become my ongoing favorite. There are different skill levels and 4 different classes of characters, Barbarian, Cleric, Assassin, and Mage. Each character can be played as male or female. There are 3 modes. Quest, Quick Battle, and Tournament. The Quest mode can last for weeks! Each character has its own array of weapons and spells, each having unique effects. Playing over time you learn how to combine weapons and spells along with your different attributes' ratings - Stamina, Morale, Strength, Intelligence and Agility. You match gems to attack your opponent, and collect "mana" to power up your weapons and spells. Weapons can be contractually upgraded, and as you gain experience points, you move to harder and harder opponents. The Quest mode is a very nice story and the music is outstanding and never gets boring. I never get tired of this game. I have played each character as both male and female on all difficulties. That is why you can play for so long. Best money I ever spent on a game. Excellent. Rated 5 out of 5 by Chase_ from This game deserves more notice! Right off the bat, while watching the opening cut-scene, I immediately wished that the game had been named more creatively, because instantly I knew that this game needs more recognition and I don't believe that end is being achieved with such a generic name. That aside though as it holds little bearing on the games score, the cut-scenes have voices, and the artwork is very nice; it reminds me a bit of the painted looking style from such games as Journey: The Heart of Gaia and Shadow Wolf Mysteries: Curse of the Full Moon. 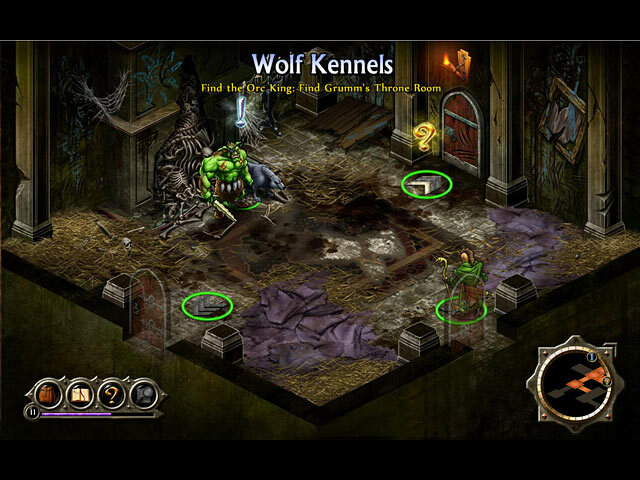 Gameplay seems to be isometric, but the tiled floors are hidden well by the artwork. Think Pokemon meets full-range world explorer; still isometric but too pretty to count against it. After choosing one of four classes (female or male choices too!) you are traveling through screen-by-screen maps, and once battles are initiated, you play a mini game such as a turn-based match-3 against your opponent in which the colors you match determine what sorts of spells you can charge in the battle or how much HP you hit the enemy for. Leveling up and gaining stats, gold and items like armor and weapons and potions seems commonplace in RPGs today but not always is such level grinding less like a chore and more like fun! With an engaging story, multiple classes, several difficulty levels, decent instructions, and enchanting artwork, the level of fun brought in by combining the mini-games with RPG gameplay ties it all together into nothing less than a magnificent experience. Some days I found myself impatient to get home from work just to be able to get back to this game, so Puzzle Quest 2 most definitely gets an A+ from me! Rated 5 out of 5 by janniemax from Dipping a toe into Role games and having fun! 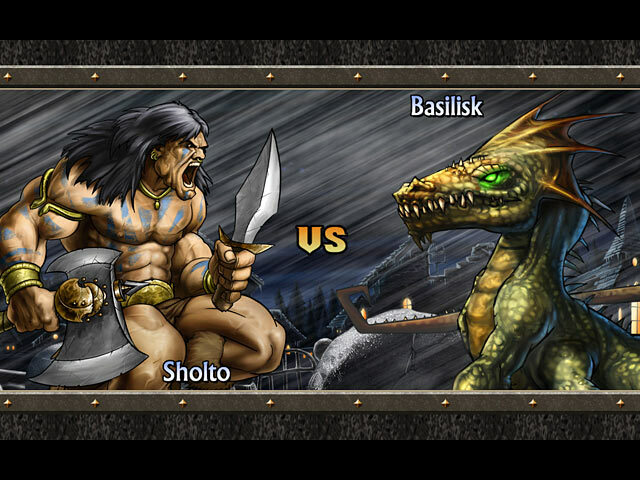 I like Match 3, but have never been a fan of Role games - too much shooting for me. This is a nice combination of things and a really long game. Highly recommended. Rated 5 out of 5 by marmieduke from brilliant strategy game If you are into strategy and match 3, this is the game for you-good replay value, excellent rpg strategy match 3 game! Rated 5 out of 5 by PhitzPixie from No Match 3 better than this Puzzle Quest has it all - fun factor is of the charts you are able to build your toon in the style you want to play & mini games are an added thrill - Visual and sound quality was not over looked in the creation of this game - it can be a bit challenging for a beginner but do not pass it up you will get the hang of the game play and spell casting as you go along story line is charming and silly at just the right parts. I can not say enough good things about Puzzle Quest do not pass this game up WELL worth the money and time to learn and hours of enjoying play. Rated 5 out of 5 by desiskorm from Love it! What can I say? Fun to play, really challenging, with lots of stuff going on. I highly recommend it. Rated 5 out of 5 by imthewoman from puzzle quest 2 There is no trial version...I don't buy without trying, but I did this time. I had credits and was in the mood for something different! I enjoy this game, hours go by before you know it. I love match 3 games, but it's not just a match 3 game. It has mini-games, different characters and dolby. 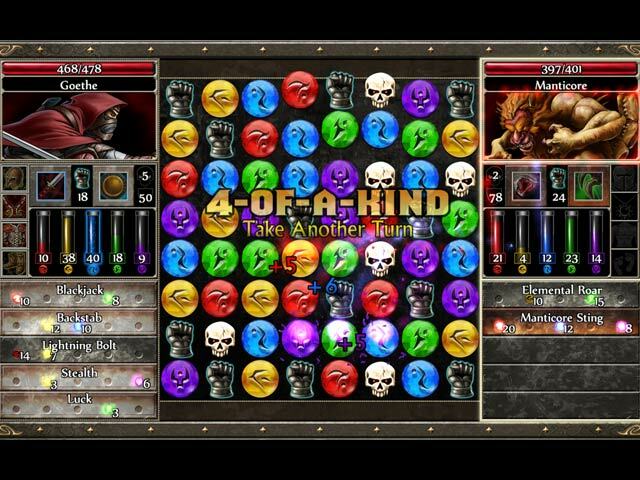 Rated 5 out of 5 by wrm400 from What a Great Game I have been playing both Puzzle Quest and Puzzle Quest 2 for a very long time, It very easy and exelent game for matching for colors and a great learning game for your eyes and your brain. Very addicting too. My wife has hard times to get me off the my computer. lol. No other games really can not beat this game. Nothing i did not like this game, I love it. Use your Match 3 expertise to save the peaceful village of Verloren from the evil clutch of the demon Gorgon in Puzzle Quest 2!